‘It was the turn of the New Year in 2017 and as many of us do, I was googling holidays as a way of escaping the January blues. Looking for something a bit different I’d been searching ‘active adventures’ and was surprised to see that The Guardian recommended a company, Skedaddle, that was right under my nose on Newcastle Quayside – how had I not come across this before? It was a sign! I was soon lost in the trip notes of the cycling adventures, longing after the scenery they describe with my mouth watering at the thought of Asian cuisine but I couldn’t shake some niggling worries – I’m not a cyclist (at least not your typical Sunday ride kind), will I fit in, will I keep up? How many consecutive days in the saddle? I’d also never travelled on my own in this way before. Running along the quayside one day a friend kindly reminded me of a saying, “it’ll be a good experience or a great story”… The next day I found myself sat with the dashing Mr Andrew Straw in Skedaddle HQ talking sunsets and Sri Lankan cuisine over a free coffee! Andrew set my worries at ease. Despite what people may believe it’s not all about the bike! 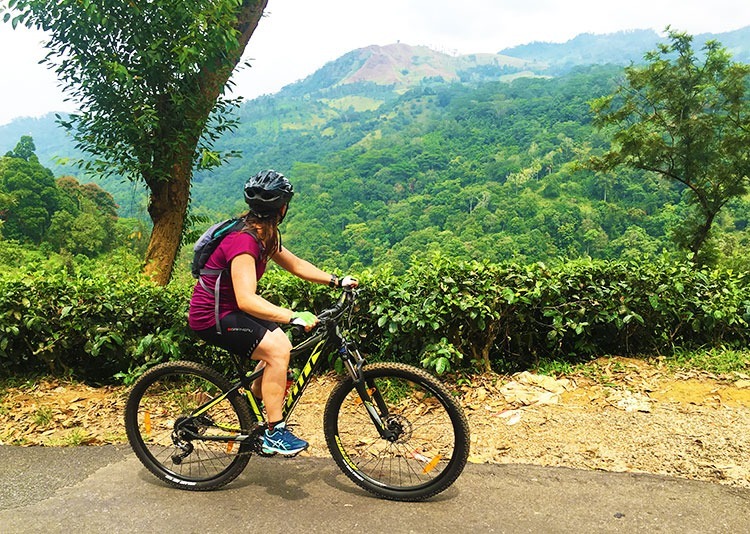 The bike has a key role but it’s as much about travel – experiencing a country, meeting new people and making great memories (at least that’s what I took away from our chat). Within a few days I was signed up. Sri Lanka is a country of beauty! The tagline, ‘beaches and backroads’ was exactly what we got – and everything in between. 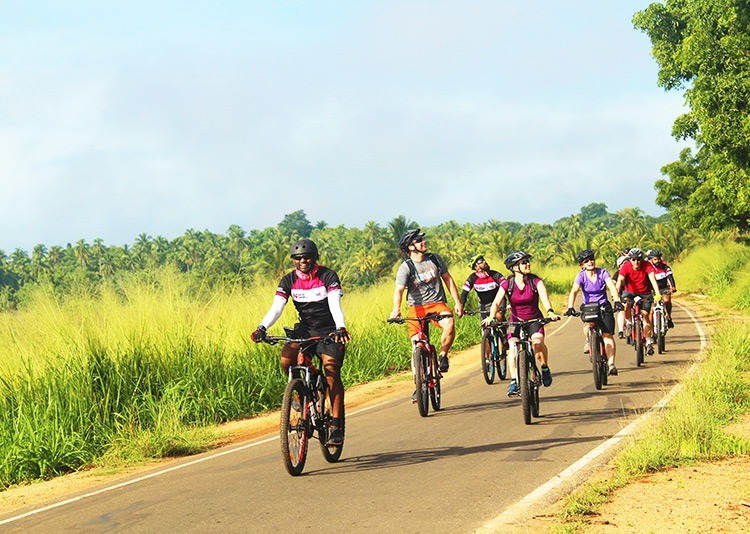 We cycled our way from Chillaw through rice fields, wound our way up some cheeky climbs to the tea plantations, and back downhill through National Parks, sugarcane fields and cinnamon plantations, finishing on the coast in Mirissa. 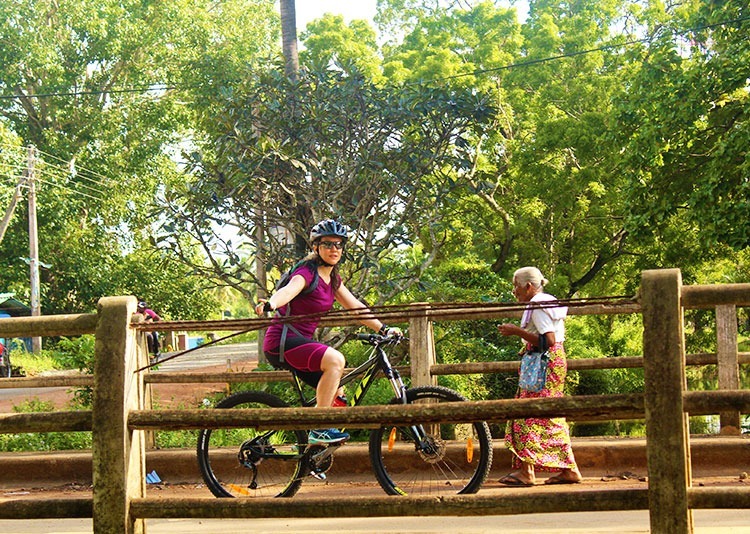 There are so many highlights from the trip but some of my favourite moments included taking in the views from Sigiriya Rock, having to abandon a day of cycling 10km earlier than planned due to a wild elephant being in the road, randomly meeting a local cycling champ and stopping off for a cup of tea and a savoury do-nut as the weather was building to a cyclone! 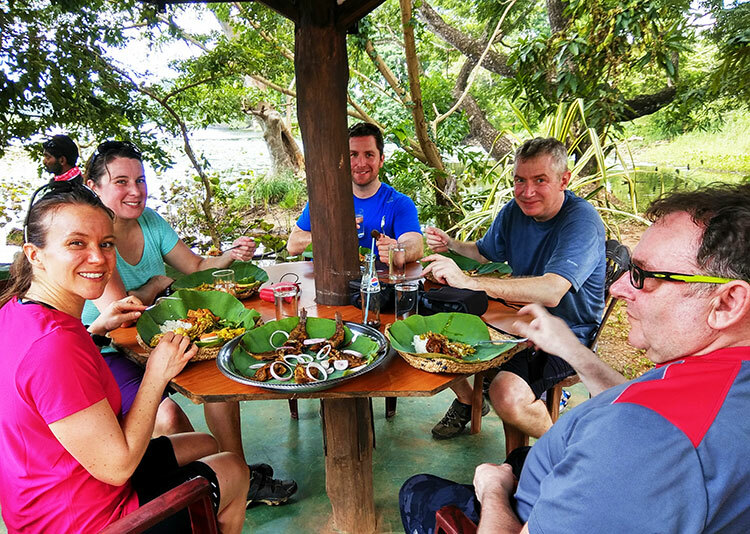 Off the bike we saw wild elephants, crocodiles, monkeys and an array of birds during safari, learned about Buddhist philosophy through visiting temples and enjoyed the contrast of city stays and beach huts. Don’t get me started on the plentiful, delicious food; I’ll be here all day! So Sri Lanka gave a lot but the cherry on the cake was the group members and the guides. Our local guides were just brilliant. Whether on foot, on the bike, playing paparazzi or driving the bus they had our every need catered for. Full of fun, energy and keen to help us learn about and enjoy Sri Lanka we couldn’t have asked for more. The group itself were a font of travelling knowledge and experience, I enjoyed learning of people’s lives and their travelling tales and who knew how creative we would become at getting our cycling kit washed and dried for the next day! Feeling inspired? 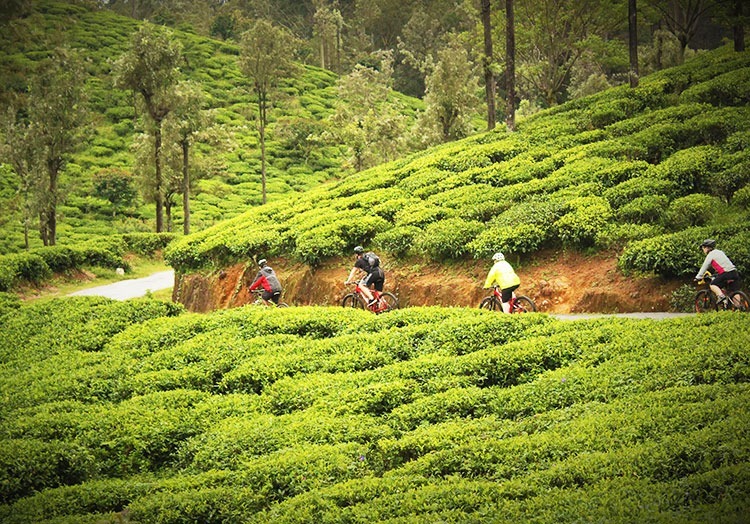 Lush beaches, awesome scenery and amazing wildlife await you as we check out the ancient temples, tea plantations and lush forests during or cycling adventure in Sri Lanka.